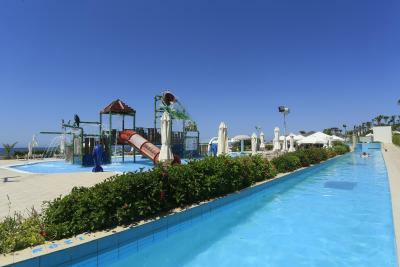 great location, friendly staff, pool was very nice for kids, good breakfast and meals were so delicious .. 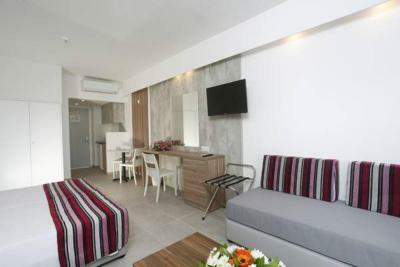 I will go again for sure..
Clean comfortable rooms, ours was located in a quiet area of the complex (ask for a room not close to the pool where the entertainment takes place). 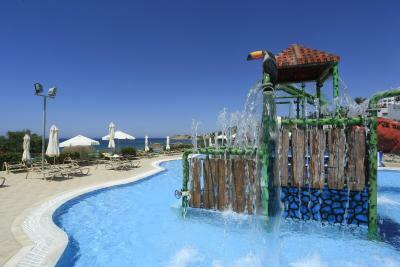 Water park and games where a nice escape from the usual "just pool" scene. 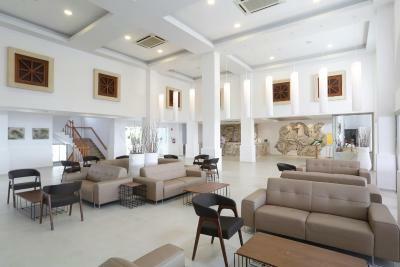 The hotel is in nice area, the rooms were renovated, very spacious. 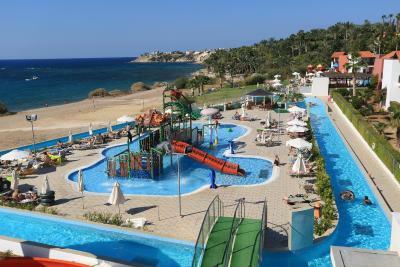 Food was good, nice pools and water park for kids belongs to the hotel. Stuff was very friendly and helpful. 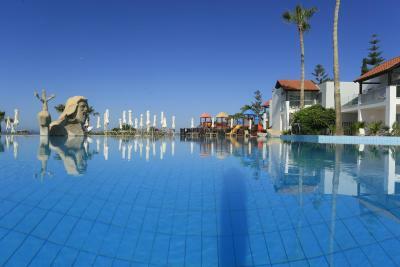 Nice hotel near the sea, relaxing, great pool area. A bit rocky seashore is near and not so bad for a swim to adults. Food was good, althoug a little more spices/salt needed. 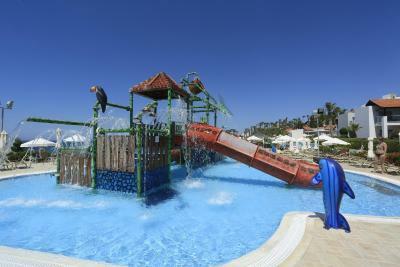 All exceeded our expectations, the water park was very good! Hotel area nicely placed 2-stored buildings scattered near main building. Nice entertainment in the evenings. 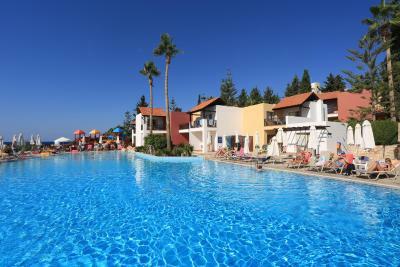 We would come back here anytime! Hotel very nice and clean. Food not so bed. Many attractions Staff very friendly special animator Mimo the best. 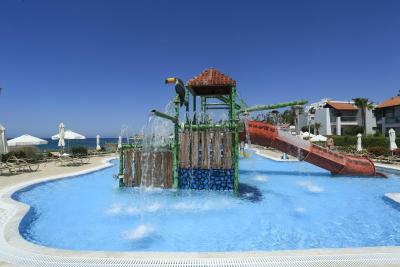 The room was nice, our kids loved the waterpark and the lifeguards did their job well. The location and views are beautiful (worth paying extra for sea view). 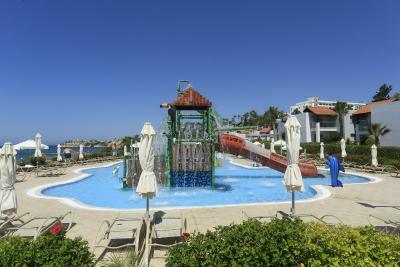 The pools and waterpark are great for a family and entertainer Mimo adds fun to your day. 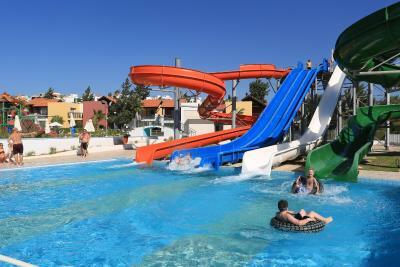 We liked the waterslides the pools were great!excellent for families!lifeguards were around all the time! 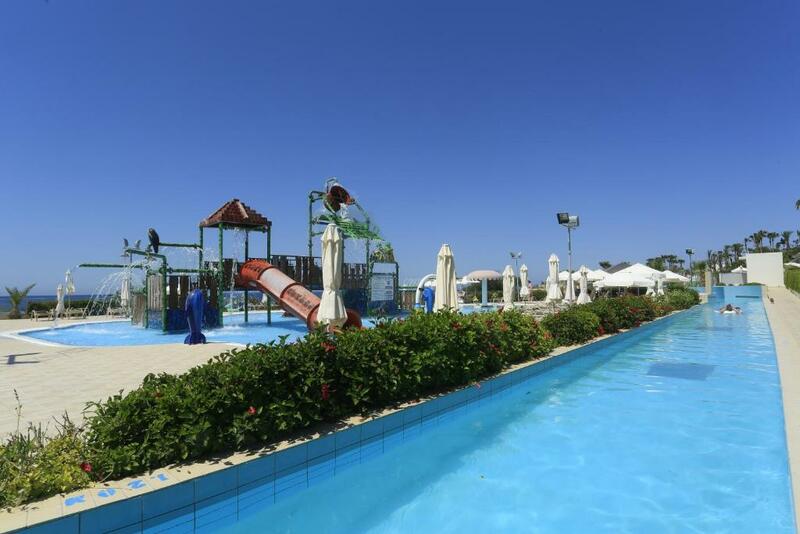 Aqua Sol Water Park Resort This rating is a reflection of how the property compares to the industry standard when it comes to price, facilities and services available. It's based on a self-evaluation by the property. Use this rating to help choose your stay! 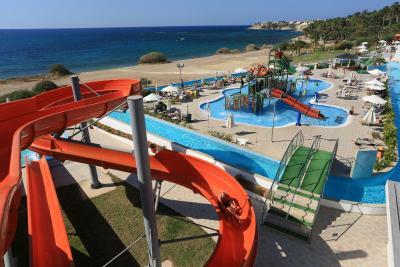 Aqua Sol Water Park Resort has 2 outdoor swimming pools and a seasonal water park with 6 waterslides and a lazy river ride. 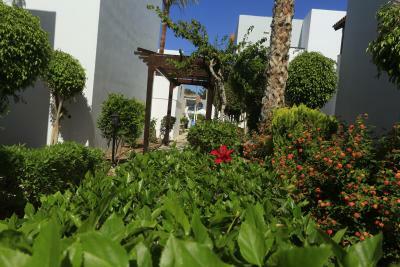 It is 0.9 mi from Coral Beach and just 1,650 feet from Coral Bay's resort center. The attentive staff are happy to arrange car rental or book professional massages. Animation programs and folkloric shows are taking place nearly every day, ensuring a truly fun stay. 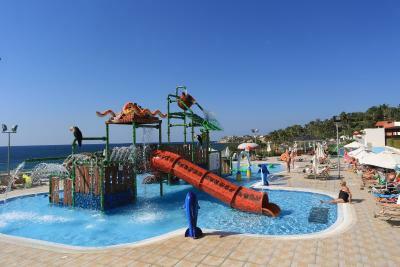 Available activities include a disco club, an entertainment program with theme nights and a Cypriot night. 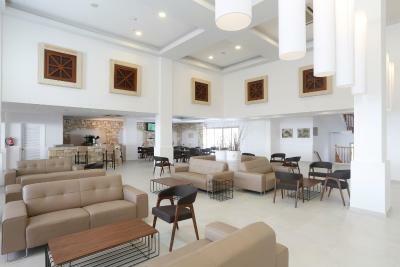 Guests can opt for a meal at the open-air tavern or the on-site restaurant which serves local and international cuisine. 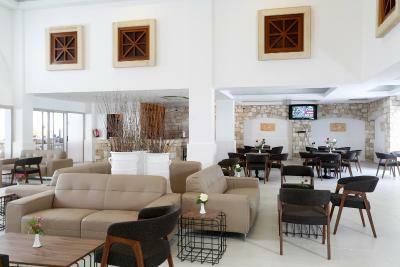 The pool bar offers pizza and pasta in the evening. 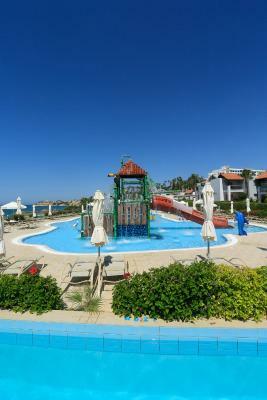 Boasting direct access to Coral Bay, Aqua Sol Water Park Resort is the ideal choice for guests seeking the perfect mix between relaxation and entertainment. 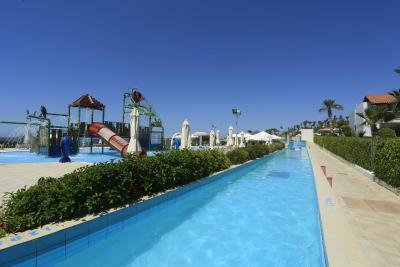 Spend the day playing tennis, working out in the fitness area or exploring the pool landscape. 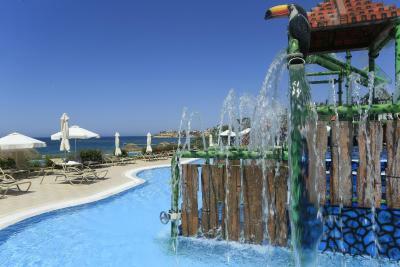 The hotel is near Paphos Golf Driving Range and Academy and the Paphos Bird Park. 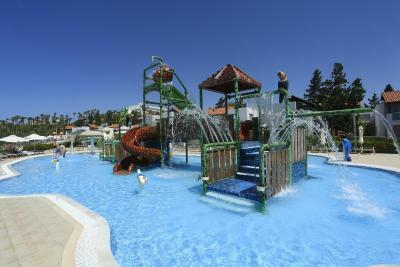 When would you like to stay at Aqua Sol Water Park Resort? 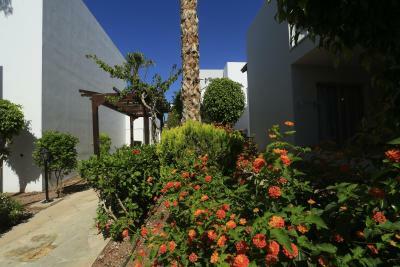 Offers kitchenette and seating/dining area with garden view. 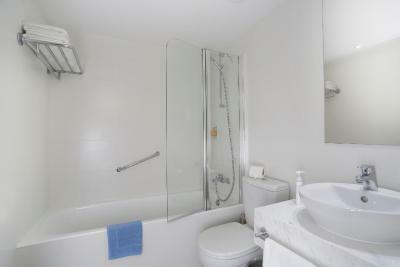 Offers separate bedroom, kitchen and seating/dining area with garden view. This studio has a balcony, dining area and seating area. This apartment has a balcony, patio and tile/marble floor. This apartment features a oven, washing machine and balcony. 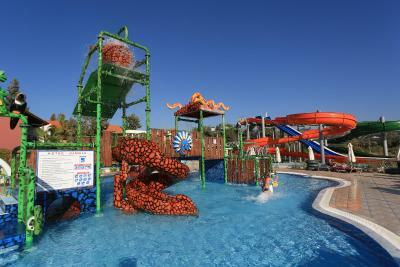 House Rules Aqua Sol Water Park Resort takes special requests – add in the next step! Aqua Sol Water Park Resort accepts these cards and reserves the right to temporarily hold an amount prior to arrival. 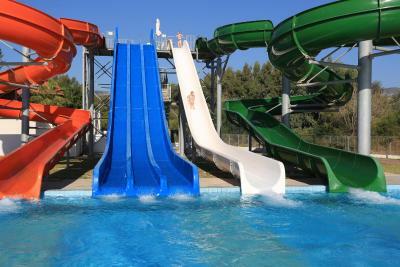 Please note that the hotel offers a seasonal water park that operates from April 23 to October 31. 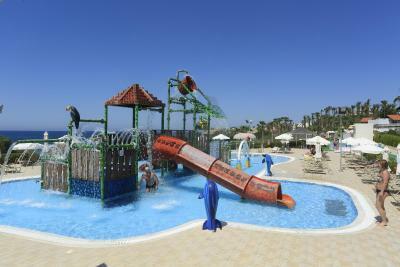 Please note that by "children" Aqua Sol Water Park Resort refers to kids up to 12 years old. 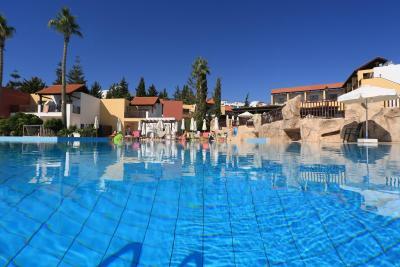 Very crowded (restaurant, bar area and loungers by main pool). Spa, on-site shop and deposit for pool towels (which were half the size of the sun loungers!) were cash only. Entertainment staff weren't clearly identifiable nor engaging - the programme was a bit inconsistent also. All Inclusive cocktail menu differed between day and night. Rooms were clean and spacious. Food was tasty. Wi-fi signal good throughout the hotel. 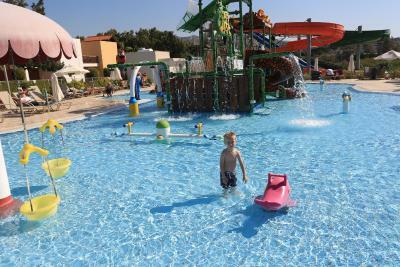 Waterpark and kids play park good and enjoyed by our 7 year old. There could be more fresh fruit and fish in all inclusive food. The beach at the hotel is full of stones and hard to get to the water. The food was the worst I have ever had to the point I stopped eating there even all inclusive,I don’t understand how you can get chicken nuggets and ships so wrong. It was the end of the season and they obviously didn’t want to order more food in just kept recycling it.bread was 2 weeks out of date and I even watched the women cooking the pancakes taking them off the stack with her hands and eating them while cooking. 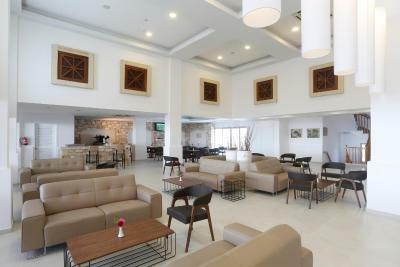 If the food was the same standard as the other 4 star hotels I have stayed it I would go back but as it is I won’t be. The room could of been cleaner. 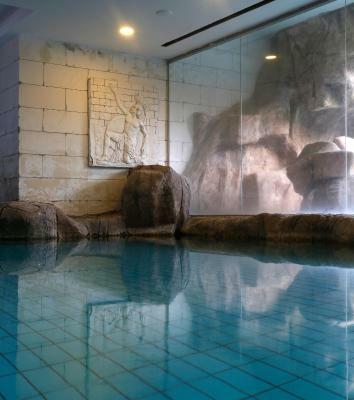 The hotel toilets at the pool badly need upgraded. There was a door open behind are room that had the electrical distribution board in it but the door was always open and the cover missing giving you direct access the 240v electricity. I did try closing door but it wouldn’t close. The pool was nice but freezing. The lazy river was good. The kids loved the ice cream. Beds were too hard, they should have one more "bedding mattress" in the beds. Breakfast ever day the same. And missing local food. Lack of bins and ashtrays, the outside of our seating area was littered with cigarette butts, obviously lazy guests, however ashtrays on the balcony would help to alleviate the problem. 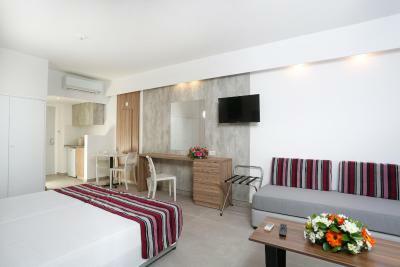 The food was not great, the bed mattresses not so comfortable and there was a bad smell in certain areas of the hotel. 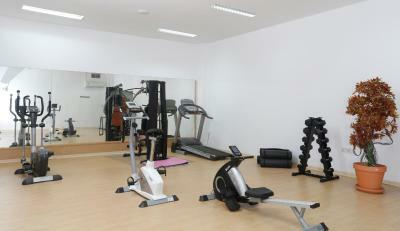 The gym doesn’t open until 9am and has minimal equipment. Food is very average for a 4 Star hotel. The food was terrible!We believe that for the money we paid must have better food!!! Megan from kids club asked my children to go to the kids club for pizza and film.. I didn't really want them to go but they wanted to!! Dropping them off it a tiny dirty room didn't sit well plus she appeared unorganized and not in charge of the situation! My husband checked on them after 30mins and they wanted to stay to watch the minion film so agreed another 30 minutes during this time I went over on my ankle and we went to room to put on ice! As we walked out of our room our boys walked to us 😮😮 I was totally shocked they where both upset as couldn't find us and had been told kids club was over and they left to look for us!! I did bring this to the attention on the manager but no feedback!! Shocking! Food is consistently poor. I've been visiting since 2014 and it's a struggle to find something even average to eat. If the food becomes up-to-par with the likes of Aliathon this would be a great resort. Lazy River is a must! Toilets could of been better maintained. Other than that it was great ty. I liked the fact it was family friendly.